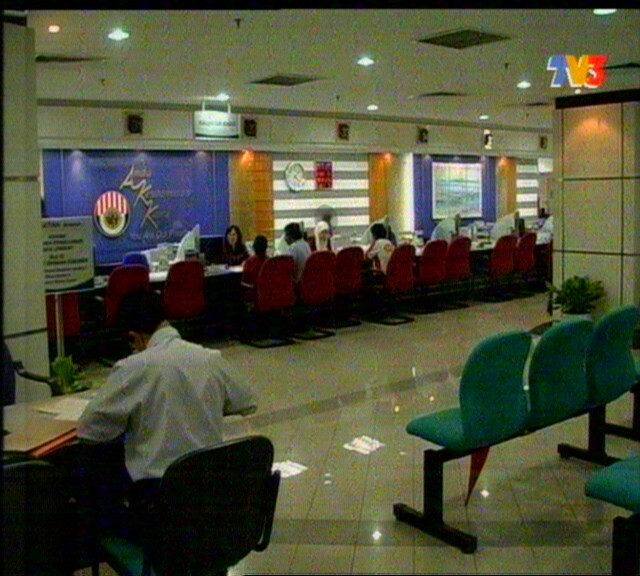 I managed to watch a show at tv3 on the Saturday Evening, 11th July 2009 around 7p.m. 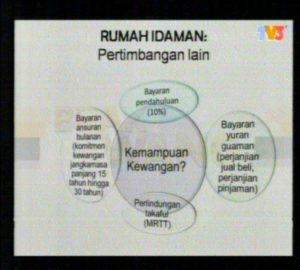 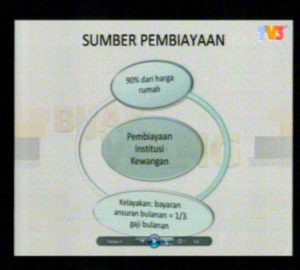 Nevertheless, the tip given are much eye-opening and also great guidance to those in need or undecided..
well.. got one jury , to talk.. and discuss.. and also can receive call from audience..
some case study presented this time is about buying a house..
is it worth to pay about RM 990.00 per month for a house valued as RM 110,000 for 20 years ? 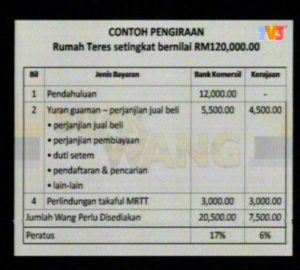 which will ended up you actually paying for ..
or is it better to rent for RM 500.00 a month and save another RM 500.00 into a saving account for 10 years. 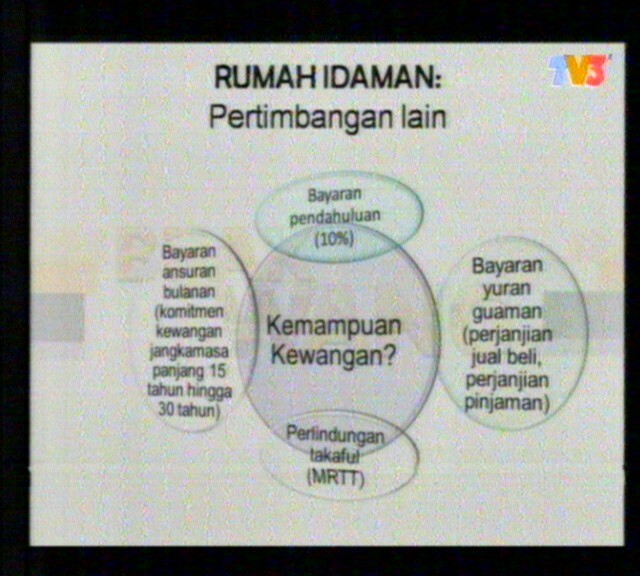 then only get the house at that moment ? 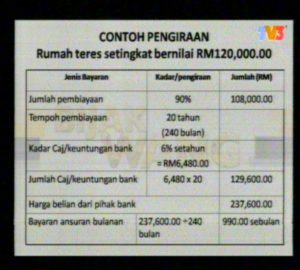 which is when you’re already having saving of ..
all.. you need just just another extra RM 50,000.00 which can be settled within 10-12 year or so. which is causing you pay the service just another RM 5-7k more. 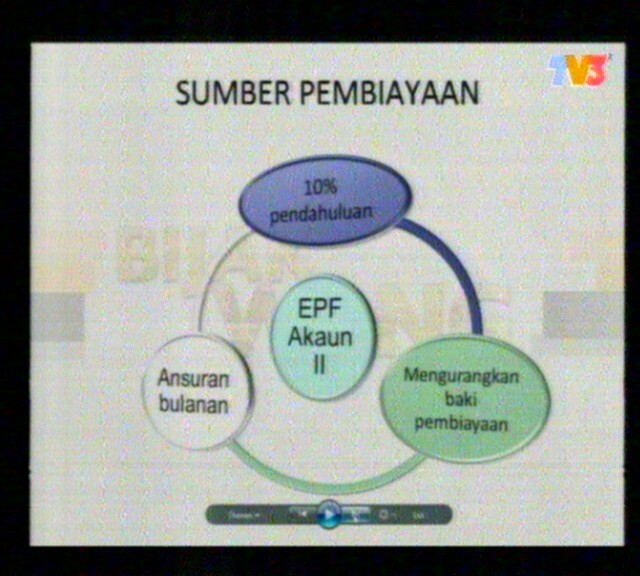 these is the screenshot from the show..
1. the other commitment and stuff that have to be considered..
2. Source of the financing..
3. KWSP account II withdrawal for the 1st & 2nd house financing..
5. Screenshot from KWSP counter..
a 120k .. single storey house? 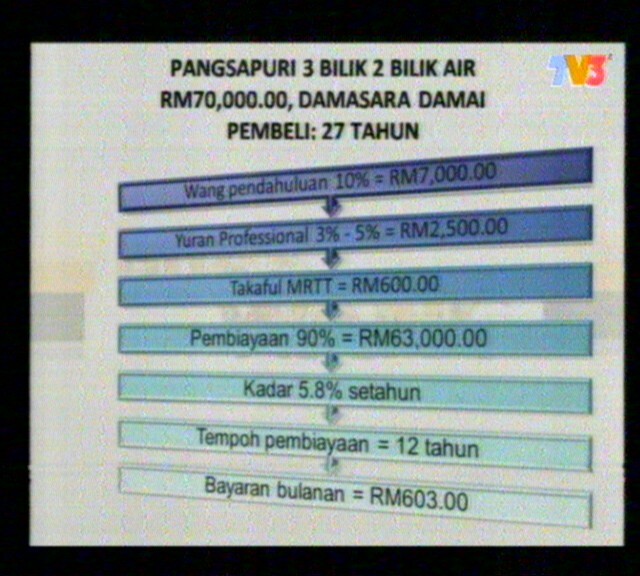 7. the example calculation for upfront payment that have to be forked out first..
with the price tag of about RM 70k. 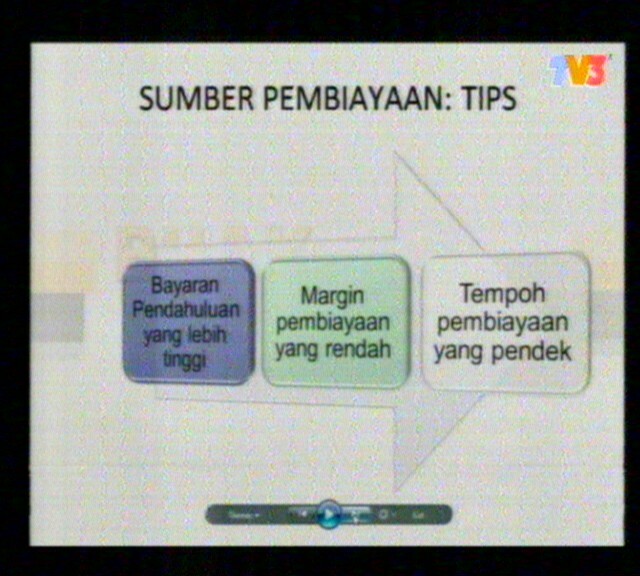 This case study look so familiar/similar to me… hehee..
anyway .. i think it is a great show.. and it just very short.. ended at 7.30 pm. 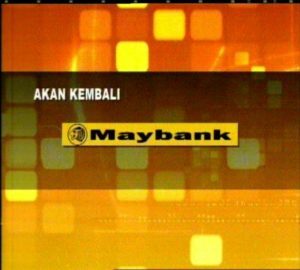 p/s : there is a ads during the show interval … showing the wifey cut off the credit from her husband… replacing with just one credit card..
~ maybank credit card.. ~hehehehee ..